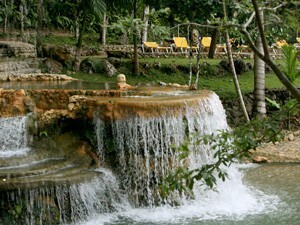 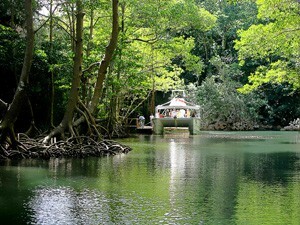 Los Haitises National Park Samana - Attractions & Activities in Samana Dominican Republic. 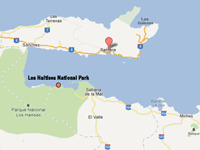 Los Haitises National Park is located in Samana Bay, about 15 Kilometers from the Port of Samana Town. 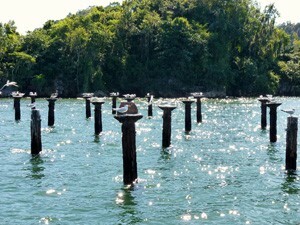 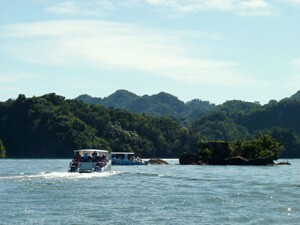 The National Park is a protected virgin forest accessible mostly by boat from Samana Town with very little road access. 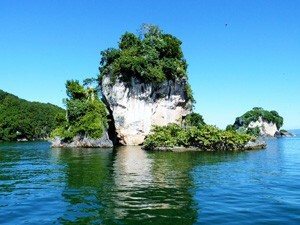 Haitis (singular) means highland or mountain range in the Taíno language, although the elevation of the park's hills ranges from 30–40 m (98–130 ft). 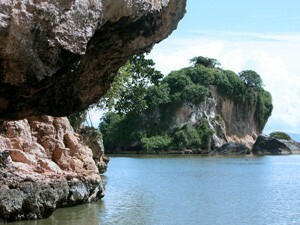 There is a multitude of caverns created by water erosion. 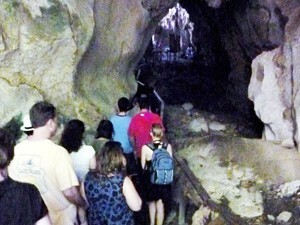 Native Americans adorned these caverns with pictographs and petroglyphs.